How volatile are digital currencies? Digital currencies, or cryptocurrencies, are extremely volatile. Although forex is volatile, cryptocurrencies are even more so. Major currencies rarely move more than 5 percent in one day. Cryptocurrencies, however, often move more than 10 percent in one single day. Our Best Cryptocurrency to Invest in 2018 recently gained 72 percent in a single day. What leverage should I use to trade cryptocurrencies? Cryptocurrencies, also known as digital currencies, are very volatile, so the leverage should be adjusted accordingly. If you use x10 leverage on your forex trades, then for cryptocurrency trades you must reduce the leverage by 8-10 times as the crypto market is 10 times more volatile. This means that you should trade with no leverage at all. If the volatility picks up further, you should cut your leverage even more - have fewer positions open. Don’t worry about making a good profit, there's plenty of pips to be made in this market. What are the trading hours of the cryptocurrency market? The crypto market is a 24/7 market. The forex market, on the other hand, is a 24/5 market, open from Monday morning in Asia to Friday evening in the U.S.
FX Leaders provides daily trading opportunities on forex, commodities, indices, and the cryptocurrency market. Our areas of expertise include real-time forex signals and live market updates 24/7. FX Leaders provides analysis for both short-term and long-term signals. Is your signals system automated? FX Leaders signals are provided live by our forex experts. Lead by Skerdian Meta, our team of experts are experienced analysts and traders that scan the markets and provide up-to-date analysis. They are responsible for the forex signals as well. Do you trade the Aussie and the Kiwi? We trade all of the commodity currencies, especially against the U.S. dollar. After all, the AUD/USD and NZD/USD are forex majors. We like trading them and open many trades on them as they are more predictable. Which is a better indicator, the Relative Strength Index (RSI) or stochastics? There is no such thing as a better indicator. There are numerous technical indicators, at least 10 of them are good to use for technical analysis including the RSI and stochastics. We work with the RSI indicator, as we are used to it but this should not detract from the stochastic. How you would trade the EUR/USD? What strategies would you use? Would you buy or sell? We use both technical and fundamental strategies when trading forex pairs. The EUR/USD is the main major pair and it reacts well to fundamental and technical events. So, we combine a number of them from an arsenal of strategies in order to provide the best forex signals for this pair. Which direction do you think the dollar will go during the next couple of weeks? Nothing is 100% certain in the forex market, that’s why it is a tough business. But profits are there to be made if you know how to analyze the markets. When looking at the higher time frames like the daily and weekly charts, the U.S. dollar is trending lower against most of its major counterparts. Consequently, the U.S. Dollar index is in an established downtrend. As long as this index remains below certain important moving averages (e.g. the 200-day moving average), there is no reason to fight the prevailing downtrend. An important support level has also been broken on the U.S. Dollar index late in 2017 and this same level could act as resistance in the near future. The most probable market direction for the dollar is lower and hence we remain bearish going into 2018. What is blockchain? How does it work and why is it so important for cryptocurrencies? A blockchain is a public distributed digital ledger which keeps account of transactions in a decentralised fashion. The ledger is updated in real-time and all parties have a copy of this ledger. Cryptocurrency transactions are grouped together in blocks and added to the blockchain chronologically. Entries in the blockchain ledger cannot be altered retroactively because it would necessitate all the subsequent blocks to be altered and would require the cooperation of the different parties in the network. With these aspects in mind, blockchain technology is an excellent solution to facilitate the decentralized, peer-to-peer nature of numerous cryptocurrencies, including bitcoin. What is the best approach for trading cryptocurrencies? Which strategies you can recommend? Due to the powerful uptrend in which the most prominent cryptos find themselves, buy-and-hold has outperformed most other trading strategies. When applying conservative money management, ‘buy-and-hold’ crypto trading/investing is a great option because of its simplicity and excellent performance. It’s really important to know that unleveraged crypto trading is your safest option. Can cryptocurrencies be copy-traded? And do you know of a good cryptocurrency/social broker? Absolutely! Take a look at eToro, the world’s largest social broker. eToro currently offers 7 different cryptocurrencies and allows you to copy numerous popular investors’ crypto (and other) trades for free. Is it possible to get notifications from you when you issue trading signals? Yes. 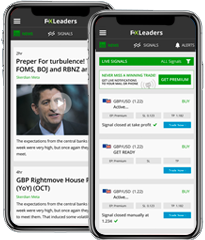 With an FX Leaders premium signals account, you get instant sound, mobile, and email alerts to ensure that you never miss a winning trade. Is Bitcoin the best Cryptocurrency to Trade? Bitcoin (BTC) was the first Cryptocurrency, and at this point is the most popular. We are seeing large amounts of money flowing into Bitcoin which is one of the reasons the price has increased exponentially. Bitcoin's popularity also brings more liquidity meaning there are always buyers and sellers. BTC also has some of the highest levels of volatility and for trading purposes, volatility and liquidity are very important factors. Having said that there are many other cryptocurrencies you can trade, like; Ethereum, Ripple, Dash and Litecoin. What are the other popular Cryptocurrencies to Trade? Bitcoin isn’t the only cryptocurrency, it’s just the most well known. Other new cryptocurrencies have come along and are also attractive to trade. Some of the most popular rivals to Bitcoin include Ethereum (ETH), Dash Coin (DAS), Ripple (XRP), Bitcoin Cash and Litecoin (LTC). They all are cryptocurrencies but each one operates in slightly different ways and can be used in different ways. They all offer great trading opportunities and we cover them here at FX Leaders. Yes, you can make money from forex trading. To become a profitable forex trader requires patience, proper education, strict discipline, much practice, and perseverance. Many people from around the world make a good living from forex trading. Open a demo/practice forex trading account. Get proper forex trading education. Forex trading courses, live tutoring, videos, and trading books are useful. Practice what you’ve learnt on your demo trading account. Switch over to a live account only when you’ve become consistently profitable on your demo account for at least 6 months. Start with small positions when trading with real money. Keep on learning and practising. 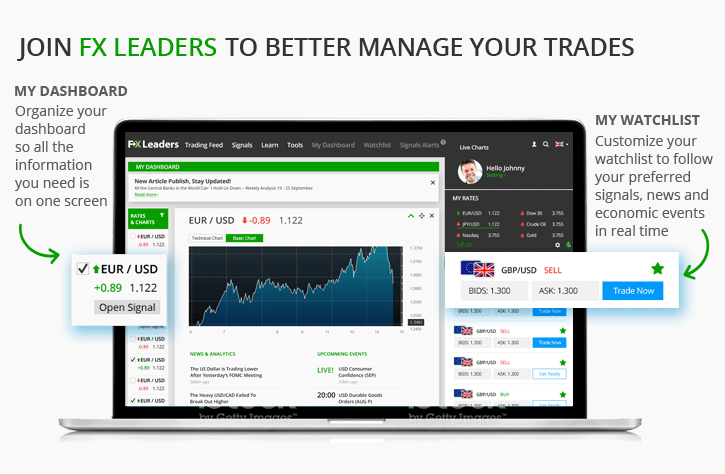 FX Leaders’ forex trading signals can also be used to trade the forex market successfully. Open a demo forex trading account with a reliable forex broker. Invest in proper forex trading education. Practice trading on your demo account while you’re learning. Switch over to a live account when you’ve achieved consistent results over a period of at least six months. To spice up your trading and to learn from the pros, consider using quality forex trading signals or engage in social trading. How do you make money as a day trader? Making money as a day trader can be challenging. Nevertheless, there are day traders who make money with different trading techniques, trading signals, and technical indicators. Day traders many times trade instruments with dense liquidity and high volatility to make the most of their trades (which are held for less than one trading day). Algorithmic trading may greatly increase a day trader’s effectivity because of much faster reaction times, execution precision, and the ability to control positions on (and analyse) hundreds of financial instruments simultaneously. How much is a pip in forex trading? In forex trading, a pip is one basis point (0.0001) of the base currency of a currency pair. The base currency is the first currency in a currency pair, for example, EUR in the EUR/USD pair. A basis point is one-hundredth of one percent, which is one 10,000th (1/10,000). On the EUR/USD, one pip is worth 0.0001 euro. In a EUR/USD price quote, a pip is found in the fourth decimal place: 1.24389. On the USD/JPY, one pip is worth 0.0001 U.S. dollar and is found in the second decimal place: 108.655. In forex trading, a pip measures a small change in the price of a currency pair. PIP stands for Point In Percentage. For example, in the following price quote on the EUR/USD, the pip value (in the fourth decimal place) is highlighted in red: 1.24389. If this price increased with one pip, it would be 1.24399. On Japanese yen pairs, a pip is in the second decimal place. Here is a USD/JPY price quote with the pip value highlighted in red: 108.645. Add one pip to this price and you’ll get 108.655. What are the best trend indicators? The best trend indicators are typically moving averages. Many traders also like to employ oscillators like RSI (Relative Strength Index) and MACD (Moving Average Convergence Divergence) to fine-tune their entries when trading trends. What is copy trading in forex? Copy trading in forex is when one trader or investor connects his or her trading account to another trader or a selection of traders and in this way automatically copies the trades of these traders. Trades are usually copied to the copying trader’s account proportionately. With social trading (which is usually intertwined with copy trading), the different participants are able to share trade ideas, analysis, news, or anything that pertains to trading. Social/copy traders are often able to view other traders’ portfolios and investigate its compositions. Technical analysis, which mostly uses charts and technical indicators. Fundamental analysis, which takes into account monetary policy, fiscal policy, interest rates, productivity, political and economic news events, labour market data, and other leading and lagging economic indicators. Forex market participants analyse the market in different ways in order to maximise their chances of making a profit. What is Forex trading for beginners? Forex trading for beginners takes on the basic concepts of FX trading. Individuals who are new to the exciting world of forex trading need to learn all about currency pairs, major currencies, pips, spread, rollover, trends, candlesticks, moving averages, money management, and basic forex trading strategies. What is the best platform for forex trading? The best platform for forex trading depends on the individual needs of different traders. Some traders prefer social/copy trading platforms, while others like MT4, MT5, or the proprietary forex trading platforms offered by different brokers. When trading bitcoin, many of the traditional trading techniques and technical analysis tools may be used. Because bitcoin is traded by humans and by human-built trading robots, its price action often reacts similarly to traditional financial instruments like forex, commodities, and stocks. (Human psychology creates the same price action patterns across different asset classes). Therefore, with-trend trading, breakout trading, swing trading, candlestick trading, etc. can be successfully used to trade bitcoin. Traders with a thorough understanding of bitcoin’s fundamental aspects also use it to profit from bitcoin trading. Open a real money or demo trading account with a reliable forex broker. Deposit money for real trading or simply log into your broker’s platform for demo trading. Use the broker’s order entry box or other order-placing function to place your market, stop, limit, or other types of orders on different currency pairs. **Proper risk management, forex trading education, and trading experience are vital in order to achieve consistent profitability. Good quality forex trading signals and copying experienced traders are ways to profit from the forex market with minimal trading education and experience. Bitcoin is a digital or virtual currency that is created (mined), stored, traded, and transferred electronically. Bitcoin transactions are recorded in a public decentralised ledger which is powered by blockchain technology. Bitcoin allows individuals and corporations to send and receive global payments rapidly and at a very low cost, provided that fiat currency needn’t be exchanged for bitcoin first. Blockchain technology is a clever way to keep a record of financial transactions and other processes. A blockchain, like the one which the Bitcoin network is built upon, is a decentralised public ledger in which every single bitcoin transaction is recorded in a chronological way. As transactions are finalised, they are grouped together in a block and linked chronologically in the blockchain. When transactions and blocks are completed, time-stamped, and added to the blockchain, they cannot be altered retrospectively. A cryptocurrency is a digital currency which is usually managed by decentralised blockchain ledger technology and employs encryption techniques to regulate and keep account of transactions. Where a cryptocurrency is mined or created, its creation is usually also regulated by its encryption technology. Ripple is a network that facilitates fast money transfers (it takes less than 4 seconds to complete an international transfer). Its associated cryptocurrency (or digital coin) is also called ripple (XRP). Because of the crypto market’s immense volatility, the safest way to trade it is with zero leverage. The cryptocurrency market often displays the same type of price action which may typically be found in other markets like the forex, commodities, and stock markets. Therefore, the different market conditions in the crypto market are likely to be successfully traded by using certain ‘traditional’ technical trading techniques and indicators, as long as provision is made for the crypto market’s elevated volatility. Another way to trade cryptocurrencies is to use FX Leaders’ crypto trading signals which are reliable and easy-to-use. There are a few good options: a great source can be your Forex trading platform. 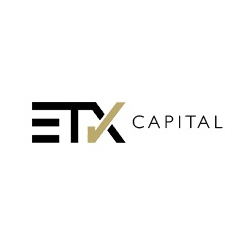 Some online trading platforms, like eToro, FXCM and 4XP provide their customers with great learning centers, Forex forums, market news, information on how to invest, daily tips on investment opportunities and more. Plus500 is another online trading platform that provides efficient information for beginners. Forex forums, blogs and portals like FXMarketLeaders, are great opportunities to follow the hottest trends. 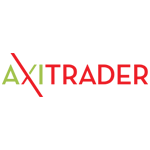 Forexpros is one of the largest, most popular online portals. Follow the news on a daily basis to spot new opportunities and to see which foreign currency is gaining strength and which markets are down. Stocks and currencies on the same platform? If I decide to trade stocks (like buying facebook options), is it recommended to do it on the same platform where I trade currencies? Because someone told me it might be better to separate them, but I don’t see why. I trade with avafx. Thank you. You are right my friend, stay with the platform you are used to, especially if you are happy with it. AvaFX are doing a great job with all of their platforms, both on currencies and other markets like stocks and goods. No, FX Leader signals are provided live by Forex experts who trade for themselves. How much money should I begin trading with? I deposited $50 a few days ago, but my account manager recommended that I start with at least $500 for a smart investment in a foreign currency. What would you recommend? $50 might be ok for a small test but it is not a smart investment. With a basic calculation you can see that even with 100% profit within 6 months it's not worth your time. I would recommend starting with a few hundred dollars on a low leverage. For optimal trading I would have an initial equity sum of a few thousand dollars in my account, again, low leverage is the key to achieving the best online investment. What is a better trading strategy, scalping or day trading? We recommend day trading, but it doesn’t mean that it is the best trading system. In our opinion three to five trades a day are enough to meet our targets, making high profits and fantastic returns on my investments. In our opinion Scalping demands too much time, as I only spend 4 hours trading in front of my 3 computer screens. Sometimes I sin, being tempted for a couple of hours. Swing trading is one of my favorite strategies, and I use it very often. Trading before or after announcements? I want to trade the Interest rate announcement. Should I place my trade before the event or just after? I know some traders that claim that before is better, and some say that I need to wait a bit after. What is your opinion on this please? High-risk loving traders have a habit of placing positions just before the announcement is made to try and hit the jackpot, but is actually much more sensible to wait for a few minutes after the announcement and try to ride the market trend as it takes place. Bottom line, I prefer to play it on the safe side, and join the market trend, than to bet on it. Short term trading or long term trading? It really depends on which strategy you choose to use. Short term trading involves more time, that's usually true. In order to trade Forex you need to analyze the charts, follow the economic calendar, look for the best market opportunities and plan your moves. It can take an hour to a few hours a day. Long term trading demands less involvement, especially if you trade on a single currency pair, or a single open position. How to find the best investment? Good question! Following Forex signals is an easy FX trading strategy for those who don't have the time to trade for themselves. A live signal is a trading alert from the market on a currency pair. The best trading system providing signals is our own popular FX Leaders signals system, which provides live signals on different currency pairs, cryptocurrencies, indicies, and commodities. FX Leader signals include stop loss and take profit levels. Read about daily trading opportunities in our new feed, participate in Forex forums, explore a range of trading tools and try spotting chart patterns on your platform. Where can I find a good economic calendar? FX Leaders will be launching a new and innovative Economic Calendar never seen before in the industry. I have an account with eToro, and I want to know: when choosing a guru, what category is more important? The winning ratio or total profits? Both of them. Always watch for both of these categories. Plus, it is important to do that on a multiple time frame. The OpenBook lets you to review the stats of each trader throughout different periods. Check at least the last month and the past 3 months. I opened a demo account with markets.com. I started copying your signals to my account, but I want to be sure that when funding my account I will be able to still follow the signals. First of all, Markets.com is a fantastic choice to start your trading experience with. Their platform is very easy to use, and it is simple to copy the signals to your markets.con account. As for your question, the answer is yes, our signals are free, and you will be able to keep following them in our website. Hi team. Just wondered what is your opinion on combining more than one signals source in my trading. Is it a good idea? Hi there. In fact, every action that can reduce your risk and spread your trades can be good, but the key thing for you is to check the quality of both of the sources you wish to use (follow their P&L reports, try them on a demo account for a couple of days). I started trading a couple of days ago, and i'm not sure about the level of risk i should take when opening my trades. Does 50 times leverage sounds ok? Can i trade with a higher leverage? Choosing a proper level of risk is one of the most important issues when trading Forex. x50 is considered as a relatively high leverage, but if you are in favor of high risk vs. high profits, it can lead to very nice profits in a short time. My advice is to start with a lower leverage, say, x10. Hello, I want to know how many signals you upload in an average day? And, what are your busiest hours? It really depends on the market, the trading activity over the specific day, and on our trading sources. On average, our system opens 3-6 signals per day, most of them are intraday signals. Our live signals are provided 24/5, but based on our history, the busiest hours are in the European morning session, between 8-10 am GMT. How much money should I place in each of my trades? Hi. I opened a trading account with Plus500 and funded it with 500 Euro. Now, every time i want to open a trade, I need to decide on the amount which i wish to trade with. Can you please advise? Our advice is to trade with not more than 10% of your total per a single trade (5% is even better), in order to lower your risk in case of losing. Hi guys. i trade binary options, and i came through your forex alerts service the other day. Firstly, good job! Secondly, I wonder if it is advised to use these signals for options trading as well. I have tried it a couple of times, but I don't know if i was lucky, or if it is actually works on high/low trades. Good question. Our signals are designed for trading Forex, offering Stop Loss and Take Profit targets. Trading High/low, as well as other classic binary options trades, you need to point the direction in a specific time frame, which makes it a bit different, as the alert doesn't indicate on time-frames, but in many cases, one can learn a lot on the predicted direction from the data of the alert, and open a position according to this data. We have many followers from the binary options world, so i can only assume that they are happy with this service. Can I use FX Leaders signals for Binary Options? The signals are targeted for forex trading, but they can be used for trading binary options as well. An active signal shows a direction, a forecast, and so are options positions. Our short term signals are based on 15min and 30min charts. What Binary Options company would you recommend? 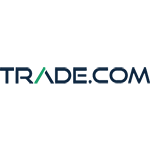 We can recommend on 24option , which in our opinion is a great options company in the market, and we have had a great trading experience with them. How do I set my Take Profit Target? I see that you show 2 targets for each trade. Please advise which is better? I don't know whether to aim for the first take profit or the second. Please! I prefer going for the first target, 'Take Profit 1'. Maybe it leads to smaller profit per trade, but on the long run it involves much lower risk, and solid earnings. What are the most commonly traded pairs? The most traded popular pairs to trade by our signals system are the euro-dollar (EUR/USD) and the pound-dollar (GBP?USD). Other popular pairs are the US dollar-Canadian dollar (USD/CAD) and the dollar-Japanese Yen (USD/JPY). What body is more influential, the FED or the ECB? The FED is the U.S. central bank, and the ECB is the European central bank, so they are both the most influential banks in the world, and it is really not cool to compare between the two. The only thing that I can say is that being the strongest, most stable economy in the world, every economic decision taken on its currency by the FED has a major impact on all of the other economies and currencies as well. What is the best Forex Course in the market? I'm looking for a forex course. I'm new to forex, and don't want a too long, or too sophisticated book. I have tried all sorts of introduction guides and tutorial videos of a few brokers such as FXCM and Fxpro, but they all look the same- very generic or hard to understand. Any recommendations? Well, first, it is needless to say that the FX Leaders Forex Trading Course is the best forex course for beginners. I assure you that you will get all the tools needed in order to become a successful trader, and the best thing about it is that it is planned in a way that one weekend is enough to go through the whole course and start trading on your own. What is a better indicator, the RSI or Stochastic? There is no such thing as a better indicator. There are 26 technical indicators, which at least 10 of them are great and efficient for technical analysis, both of these two are among them. Plus, both of them are kind of similar. For me personally, I prefer working with the RSI indicator, maybe because I am used to it. There is no magic solution my friend, or a single level that works more than the other. Investors need to follow the trends, watch the chart and look for the right retracement. There are three more popular levels: 61.8%, 50% and 38.2%, but which one to choose? Cannot help with that. Thanks for your service. It's great stuff! I have read an article claiming that the dollar always goes the opposite way than the S&P 500 index. I checked last year's chart if both if them, and it looks correct. Is it always like this? Usually it is. There is a strong negative correlation between the two throughout the history, and there are logical reasons for this. You can read more in this article about the correlation between the dollar and the S&P 500. Hi. Can you tell me at what hours the signals are provided? It seems like i miss some of your signals because i go to sleep, and i want to know the best hours to be online. Thank you! I still can't decide if trading with automated signals software is a good idea or not. Anyone? There are several automated systems with a good reputation, like Ava's automated signals . You are more than welcome to use ours for free, but they are delivered by live sources who trade on the foreign currencies. Don't forget to use Stop Loss! Trading u.s. dollar - h.k. dollar? Not sure about taking a risk on exotic pairs like USD/HKD. I read in some post that the spreads on them are just too high, and that it is risky, but I noticed that some of these pairs could have made a good profit for investors who took the risk. What do you think? Is it a good time to trade exotic currency pairs? In order to trade exotic pairs you should notice that most of the online Forex platforms charge higher spreads than on the majors or the cross currencies. Exotic pairs also usually less volatile, and traded In lower volumes than the majors. But, on the other hand, if you are familiar with a particular exotic currency or its fundamentals, it might be a good idea to invest in it, especially now, when some of the exotic pairs become more and more popular to invest in. Ola! I need information about when are the best trading opportunities. For rapid movements, best hours to trade Forex are when two sessions meet and work simultaneously. N.Y. session and London session are simultaneously open each week day between 1 – 5 pm GMT. During these hours higher volume trades take place. Monday morning is great opportunity for making high profits. Can you please be a sport and tell me how would you trade on the EUR/USD? What strategies? Would you buy or sell? The majority of Forex experts believe that EUR/USD's worst days are yet to come, pointing out the 1.2695 support last year. Therefore, market sentiment for the long run is to go short. Aloha! Sorry, but I am new to Forex:-( So many reviews and posts about best platforms or best signals, so I cannot decide. Need help to decide!! Trade eToro's social investing network. Use one of the best brokers' automated software (Signal Trader by Markets.com; Mirror Trader by 4XP; Auto Signal by Plus500). Bottom line, You don't need to be an expert in order to follow one. Those three options are the best trading strategies for your situation, with no required extra learning. Another advantage is that while following others, one can learn how to trade like a pro. Just to be sure, do Bid/Ask and Buy/Sell have same meaning? Probably the most popular technical indicator among Forex traders, Fibonacci works best as support and resistance. By following Fibonacci retracement on the chart traders can get a clear picture of trends, entry and exit points. Prices always move in trends - waves! Fibonacci helps us determine the extent of the correction. The three most important ratios to remember are: 0.382 ; 0.500 ; 0.618. Hi there! Could you please help me? I am looking for a good Forex broker, and seems like AVA are doing good work. I see that you also recommend them. So just to be sure, who do you guys think is the best investment company? Which Forex strategy is better; short term strategy or long term strategy? Both are good. Long term trading strategies are recomended for fundamental trading, using large investments and low leverages. You will need to have some trading experience. You will also need to be very patient, have a deep understanding of the economic contidions in the global markets and believe in your positions. Short term trading involves more positions, a higher potential for fast profits, more action, but also higher risks. Short term trading is based more on technical analysis and chart patterns. Beginners usually prefer short term strategies. I am using the signals while trading with AVAFX. The rates in your site are a bit different from the ones in AVA. Which rates do you recommend i use? The rates in the site are taken directly from the market. Ava, like other broker, shows live Ask and Bid rates. We provide you with the average live rate between the Bid and Ask prices, to make the information more intuitive for beginners. You can use either our rates or AVA's, it does not matter (the rates are practically the same). There have been many articles lately about how the last few months have been very good for trading gold. What do you think? Can you give some tips about how to trade gold? During the past 4 years, trading gold has gained huge popularity among online traders. Millions of traders who looked for solid, attractive trading opportunities besides fx trading invested in gold and silver. By looking at the charts on the trading platform we can see that gold has raised dramatically (more than doubled). You can trade gold with most of the Forex brokers, on their online platforms. Trading gold is not advised as a day trading strategy. Gold, silver and other commodities are great alternatives for longer terms investments. The Forex tools you'll see on the trading platforms apply to gold trading too. How to use RSI? Is it a reliable indicator? RSI is considered as a popular indicator among technical traders and analysts. Notice that one needs to set the number of timeframes. Statistics show that 2 periods to 14 periods gives the best results. Where can I get the best rates on trading exotic pairs? FX Leaders has recently started giving signals on exotic pairs as well as indices, commodities and crytpocurrencies. If you look for a good trading experience while trading exotic pairs , try eToro's platform. I find it the friendliest. How much to invest? Need your help! I read an article in a Forex blog which claimed that the only way to make fast money, or to make large profits is to trade with large accounts of between $5,000 - $10,000. But in most of the best investment blogs, I saw that much lower deposits are also recommended. In many places it says that even a few hundred dollars’ investment can bring high profits. What do you think? How much money to invest depends a lot on your Forex trading strategies. The foreign exchange market allows you to leverage your capital, but it also increases your risk. So the most important question should be how much you are willing to risk. To get to the point: Opening an online trading account with $10,000 is optimal if: 1. you can afford to lose this amount. 2. You have a little experience with fx trading. 3. You have an idea which Forex trading strategies you want to use. Trading foreign currency with $1,000- $5,000 will also offer you lots of investment opportunities. Beginners and small time traders should start with $500-$1000. The good news about the foreign exchange market is that almost any amount of investment is enough to profit from fx trading, even $100. It is also important to decide on how to trade, meaning, deciding on your Forex trading strategy. How do I trade with your trading signals? It’s very simple. You need to open a trading account with one of our recommended brokers, and apply the signals in your trades. You can also click on the Trade Now button, to the right of every active signal. It will transfer you directly to our top ranked trading platform. For signals tutorial you should click here. How many pips away from my entry price would you recommend to set a stop loss? If trading on the majors, looking for low to medium risk, using technical analysis, 30-50 pips distance is a good distance (for short term trading). Longer terms usually require a larger range. But it is important to understand that it should be affected by other parameters as well, such as the support and resistance levels, trend's highs and lows, your money management, etc. It is advised to move your stop loss forward, as your position gets more profitable. Is 1,000 euro enough to start trading? Hey guys, I'm thinking maybe to use your signals system. How much money should I invest in order to open an account with one of your recommended brokers? Is 1,000 euro enough? Which direction do you think the dollar will go during the next couple of weeks? Bulls or bears? The USD seems to gain power, rallying up against the other majors. The majority of Forex traders buy USD these days. Dealing desk or no dealing desk services? I have read that the best investment companies are "No Dealing Desk" ones. What do you think? There are fantastic NDD companies, as well as DD ones. I personally prefer NDD brokers, but it depends. Not every NDD broker is the best investment company. 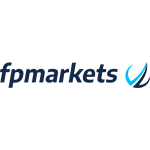 FXCM and eToro are two of the best investment companies in the industry, offering NDD services. There are some brokers who serve both as Dealing Desk and No Dealing Desk, so you should be aware of this. You wouldn't want to trade with brokers who are driven by double interests. What exactly is a Forex signal? Can you please explain the difference between this and a market alert?